By davduf. Posted 18 May 2010 at 14 h 45 min. 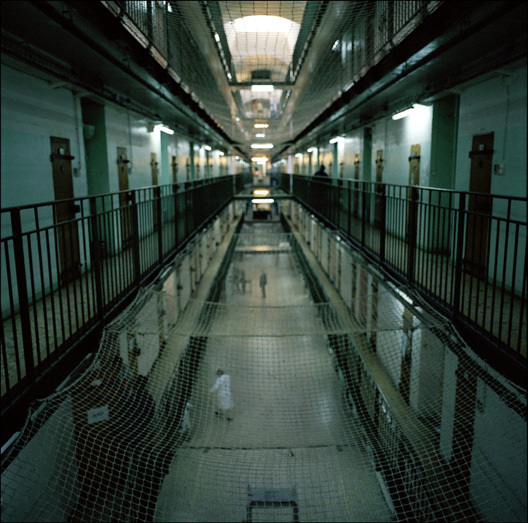 The main theme we will be discussing is what impact the new prison law will have on conditions in French prisons. The French Council of State is due to announce in the coming days how this law is to be enforced, and the UN’s Anti-Torture Committee has just published a scathing report on French penitentiary policy. This chat will give an insight into how an organisation like IOP works, how it is funded, who its supporters are, and what it campaigns on. Maison d'arrêt de Fresnes, France. Mai 2005. See you Thursday 20 May from 6 pm if you’d like to post some questions and live from 7 pm. Jean-Marie Bockel is our next guest in the Prison Valley chat on Thursday 6th May from 7 p.m. and 8 p.m. Jean-Marie Bockel takes a particular interest in prison matters in France.